For the past week I’ve been struck down with bronchitis, resulting in a pesky, guttural cough that is as unsavoury as it is exhausting. To say that I’m not great at being a patient is putting it mildly. It took me several days to see the doctor for some antibiotics, and a whole lot of parental coaxing to convince me to take time off work to recuperate. Having time on my hands is something I always crave, but time combined with a physical inability to do things I want to do is not quite what I had in mind. After almost a week at home, I am truly insufferable and yet this tiresome cough lingers. All this whining has a purpose, I promise. There is a natural relief for coughing and head colds that I want to share with you, something that my mother forces into me at times like this. A few days ago I was home alone with Cookie the pooch, and on my second consecutive night of incessant coughing, an activity that seems to be incompatible with sleep. Sometime around three am, I had had enough and was feeling borderline murderous. When I got out of bed and turned the light on for the third time that night, (ignoring an exasperated gaze from the long-suffering Cookie who had the misfortune of sleeping in my room) I knew that a solution had to be found. 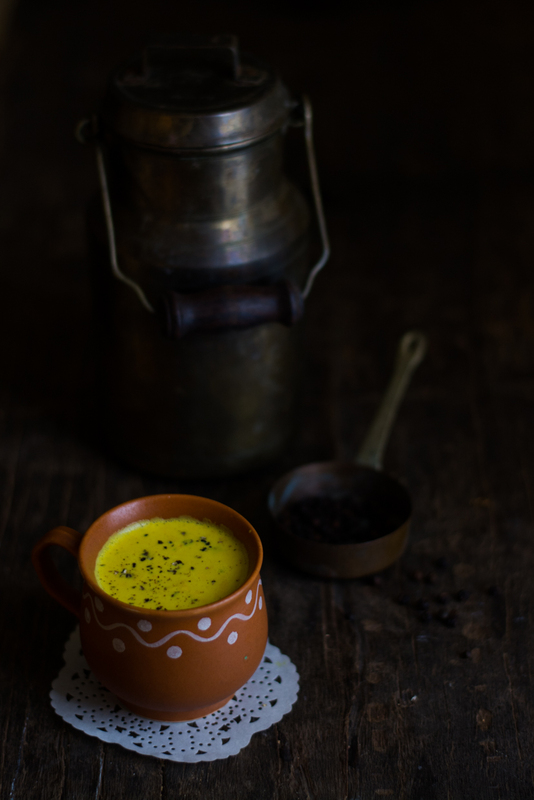 So the stove was lit, milk poured, pepper ground and white yellowed with turmeric. A short boil later, I was sipping my mother’s medicine for the first time without her insistence. To say it worked, the cough subsided and I enjoyed a few hours sleep for the first time in what felt like forever would be an admission that my mother is right. That she told me so, and that I would’ve done well to listen earlier. And we know, you and I, that we never admit such a thing, regardless of how old or supposedly mature we are. There are no pretensions about this milk. It may be, at least initially, one of the worst things you’ve ever put in your mouth. I don’t sweeten mine anymore, but you can and I suggest you do the first few times. Honey would be the obvious choice because of its soothing properties. You could also use a nut milk or soy milk. Be sure to drink it as hot as you can possibly manage. I think it works partly because turmeric has known anti-inflammatory properties which have long been recognised in Ayurvedic medicine. 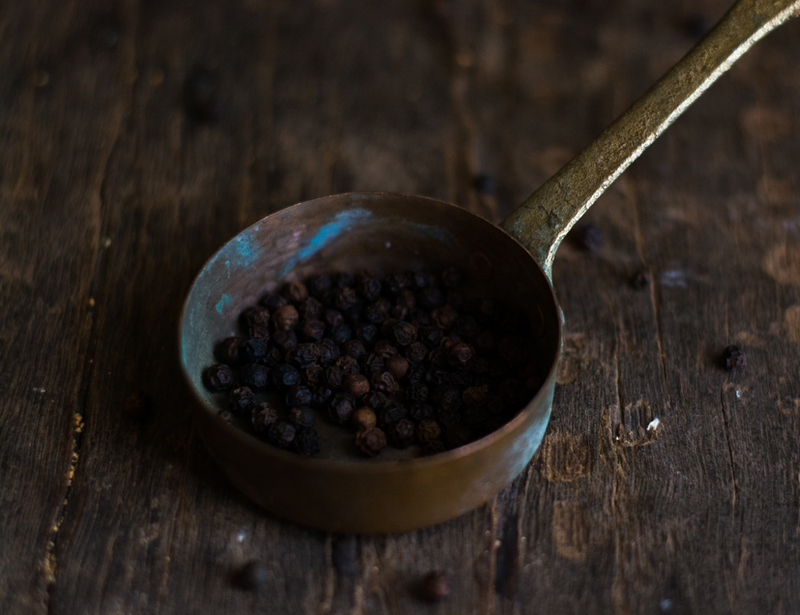 Pepper was thought to have the ability to clear congestion but my personal theory is that in such a high concentration, it just annihilates the sensation in the nerve endings in the throat. For whatever reason, this concoction, while unappealing in taste, seems to work well as a natural cough suppressant, and will provide some flu relief also. Please don’t tell my mother I said that. So tell me, what natural remedies do your family members swear by? 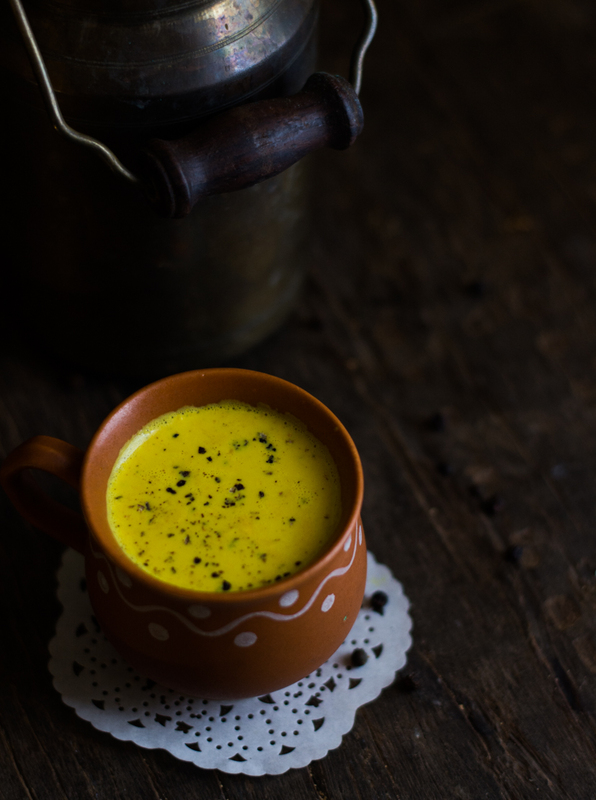 Place all ingredients in a small, heavy bottomed saucepan and stir to disperse the turmeric. Bring slowly to the boil and simmer on low heat for 2-3 minutes. Allow to cool slightly and drink as hot as you can handle. Sleep well and allow those around you to do the same.